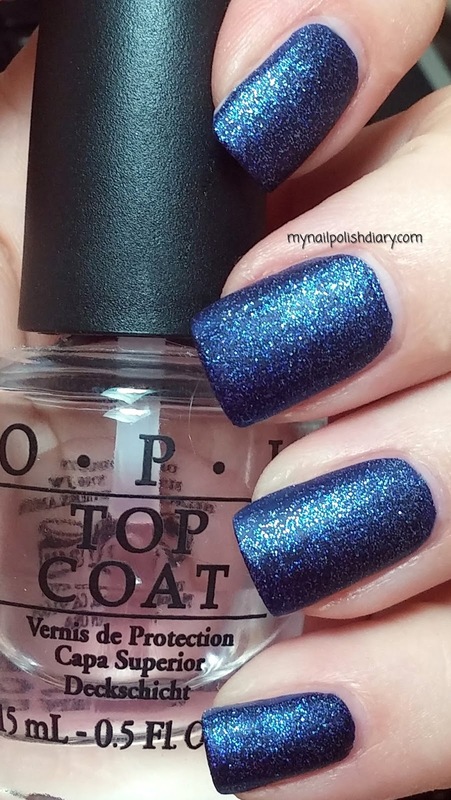 OPI Designer Series Lapis was released in fall 2013 as part of OPI's annual Designer Series collection. Lapis is a deep sapphire blue with silver shimmer. It's a matte, it's stunning and it looks like denim! I don't wear enough blue. I am working on stepping out of my normal reds and pinks and exploring more of my collection. I have a ton of blues. I'm really glad I decided to finally wear Lapis. It's gorgeous! Application was normal for a velvety matte like this. Be quick and don't go over a spot you've already polished. It dries fast enough for me not to make a mess too. I did my usual procedure with matte: sticky base coat, ridge filler then qdtc before I apply the color. This works wonderfully for me. I get the protection and strength the added layers give me and still have the matte finish. I did two coats of Lapis with no top coat and it was dry in about 30 minutes.